What’s the purpose of lock rekey services? The meaning of lock rekey services is to protect a room or property and keep it restricted from people with the keys of the property’s or door’s lock. For example, when you intend to move to a new apartment, you won’t know if the ex-tenants still have a copy of the keys. On top of that, when you lose a key, you don’t know if someone stole it. By rekeying locks, we plan to increase security and keep potential intruders from using your current key to come in. With the help of our company, security concerns are handled fast. If you want an apartment or office building master key system, we can cover such needs too. 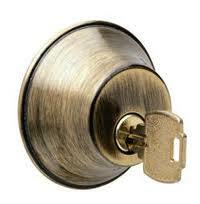 All our pros have to do is change the lock’s configuration so that it will work with both the change and master keys. At Locksmith Coquitlam, we offer services as quickly as possible. Our specialized tech will be there to change the pins of the lock and provide you with a new key. By changing the lock pins, the original key won’t fit in the lock anymore. And that’s what will secure your property. Our pro will cut a new key to match the new tumbler. Rest assured that we always check that the key opens and locks the door before we go. And we only use the best key replacement products to enhance the quality of our work. Whenever you need rekeying services in Coquitlam, ask our help. We do the job right and respond quickly. If this is an emergency problem, don’t hesitate to contact us 24/7. We will rekey locks in Coquitlam as soon as possible.